Well, it’s been a good week so far for us at Bishop! 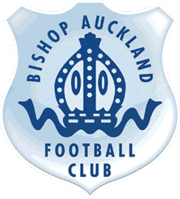 We had a great result against West Auckland on Saturday with our 6-1 victory. The result sees us in 6th place in the League; we would like to have been a bit closer by now with regards to points difference to the top three teams but the next three games will be a good test to judge how far we have come since last season on the field. It was a good all round performance by the team on Saturday and some good goals scored, particularly Jeff Smith’s opening goal when Ed Wilczynski rolled the ball to Jeff and he took the ball 80 yards before curling the ball past the West keeper to score. He certainly deserved the Darlington Building Society Man of the Match Award. We had two great Club Shop sessions, one last Thursday and one during the game on Saturday. We have a lot of new items and these generated a lot of sales. We have had to order some items and will open a shop at HP on Wednesday 21st December to ensure all items are with Santa before Christmas. We have had a new supply of scarves delivered and these are now available both online and at our Club Shops at HP. Many thanks to Elisha and everyone at Cre8tive in Bishop for supplying most of our new products. On Tuesday night we hosted the FA Youth Cup 3rd Round game Middlesbrough v Rotherham United. The pitch was in perfect condition on the night and the only worry we had was that there was a fog over the ground for the whole game and it looked like it was getting thicker as the game went on but fortunately not enough to stop the game. We saw a fantastic game with Boro winning 5-0. All the Boro officials and were impressed, not only with the pitch but also with the facilities so hopefully we will host more games for them in the future. Many thanks to our volunteers who helped us ensure that everything went smoothly for both teams and the people who attended the game. One thing that amazed me (but on hindsight shouldn’t have surprised me) was the number of ‘scouts’ who attended the game – obviously looking out for future talent for their clubs! Boro play Fulham or Mansfield in the 4th Round in early January. On Wednesday night I went with Michelle to the Riverside to watch Boro take on Liverpool. When I was talking to Boro’s Chief Operating Officer Mark Ellis recently when we were discussing us hosting the Youth game he was telling me that when Boro got promoted to the Premier League they had to replace all the floodlights to meet the Premier League specification – particularly for the televising of games and wow! they are bright! I went last season twice and Boro got beat and so it happened again with a 3-0 defeat against a very good Liverpool side. I reckon I might be a jinx and be barred from going to more games at the Riverside!! As you know we have, as usual, applied for promotion to the next level. All Clubs must make an application to the Football Association by the end of November; unlike most years previously another Northern League Club has also applied – South Shields – and unless their form dips dramatically they will be favourites to gain that promotion spot. Whilst I will be disappointed if that is the case I am delighted to see another Northern League Club that has similar ambitions to ourselves. 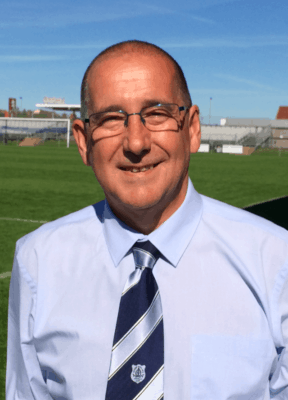 We asked for volunteers to help us video our games and we are grateful to Ben Siddle who contacted Director Richard Cooke and came down to HP on Saturday to video the West game and is going to video the Consett game for us. Interestingly, Ben is the grandson of former Bishop player (and captain) George Siddle who played for us in the mid 1960’s! So, it’s top coat and woolly hats on and a trip up to Consett on Saturday! « FA Youth Cup game at Heritage Park tonight!